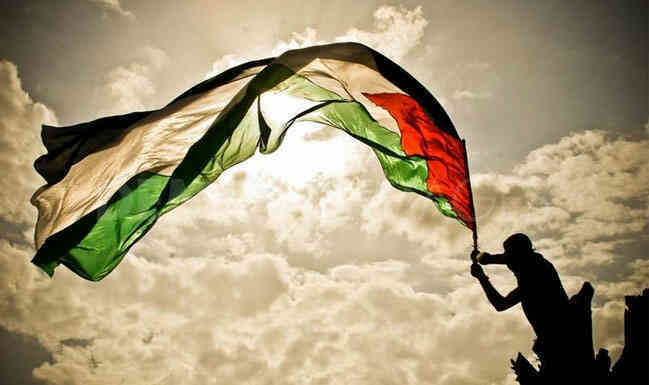 In the whole of classic Palestine, one democratic, secular and progressive state is a possible solution to end the long-standing imbroglio and non-ending oppression against a captive population by Israel, otherwise extremist nationalists and theocratic vandals will continue to play havoc and cause more polarization among the Palestinians and Israelis that will bring only more bloodshed and misery for all. However, the Zionist rulers of Israel will hardly accept this solution. In theory, a two-state solution is still possible if the rulers of Israel (and USA) accept the 1967 borders as the demarcation lines between the two states and thus start a new chapter in bilateral relations to seek reconciliation and show an honest resolve to solve the remaining issues, such as the return of the Palestinian refugees, but in practice things stand on a very different level. The West Bank has largely been colonized by the expansion of the illegal settlements in the occupied territories and the Gaza Strip has been isolated and kept under siege by the Israel. All the feigned clatter of 'peace talks' was meant as a ruse that allowed Israel to expand further into the occupied territories. Will Israel reverse its policies, withdraw to the 1967 borders and seek a sincere solution to a two-state solution? In my assessment that is not going to happen. The remaining viable and humane alternative is the creation of a single democratic, secular and progressive state in historic Palestine, where Jews, Muslims, Christians, the followers of other faiths and legitimate political ideologies could live together. That is possible, and we have some examples of such democracies functioning superbly well in the Nordic countries.